(YAHOO)—Turkey and the European Union officially launched a new stage in Ankara's long-stalled membership bid on Monday as part of a deal aimed at tackling the migration crisis. Foreign ministers from the 28-member bloc approved a new "chapter", focusing on economic and monetary policy, of Turkey's decade-long accession process to join the EU. Turkish Foreign Minister Mevlut Cavusoglu said the opening of the first new section for two years was "quite symbolic" and would help tackle issues such as migration and terrorism. "We hope other chapters will be opened soon and the negotiations process returns to its natural course. We shouldn't wait another two years to open another chapter," Cavusoglu told a press conference in Brussels. 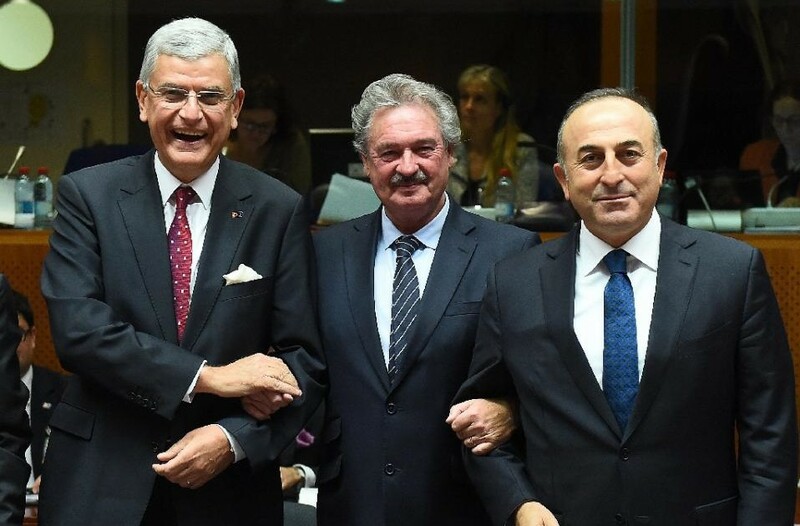 The opening of the new chapter was a condition of an agreement between Turkish Prime Minister Ahmet Davutoglu and EU leaders at a special migration crisis summit last month. Since Muslim-majority Turkey launched its membership bid in 2005, the EU has opened 15 chapters out of a total of 35 required to join the bloc. But due to disagreements, over human rights and press freedom issues in Turkey in particular, only one of those chapters has actually been completed during an entire decade. The new chapter would help bring Turkey's economy in line with European rules on finance, banking and investment, EU enlargement commissioner Johannes Hahn told the press conference. Such issues are important for the EU after its lax approach to new members joining the euro in the early 2000s partly contributed to the eurozone debt crisis.